I like the sharplines of the boats against the softness of the countryside. Thanks Darryl! It’s still unfinished… I am excited to work on it again this week! It’s been a while, Sibella. Nice to see some of your artwork again. Beautiful blues and greens in the background. I like the perspective of the boats and the background… You are so talented. Lovely–my memory may be off as to the river, but I am pretty sure when my dad visited we went rafting on the Una-Sava! I really like how you’ve done the water. 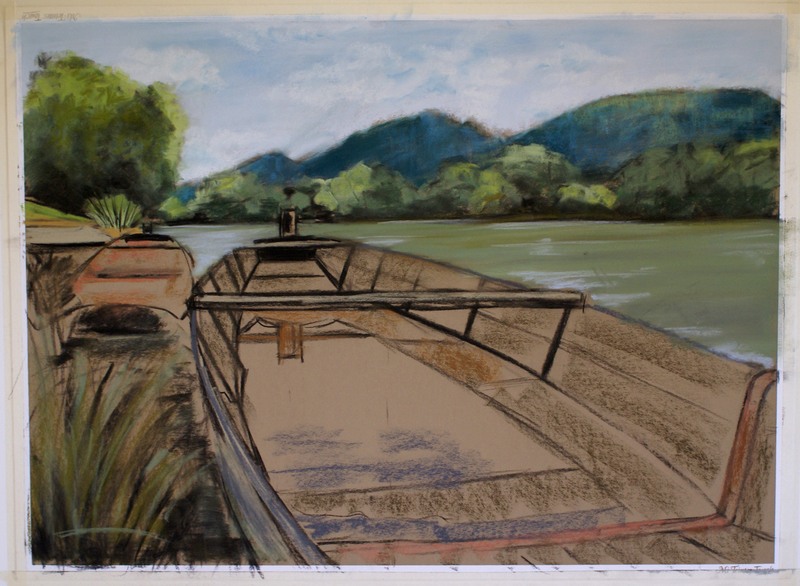 I can’t wait to see this one finished – I’m amazed at your artistic talent Sibella!